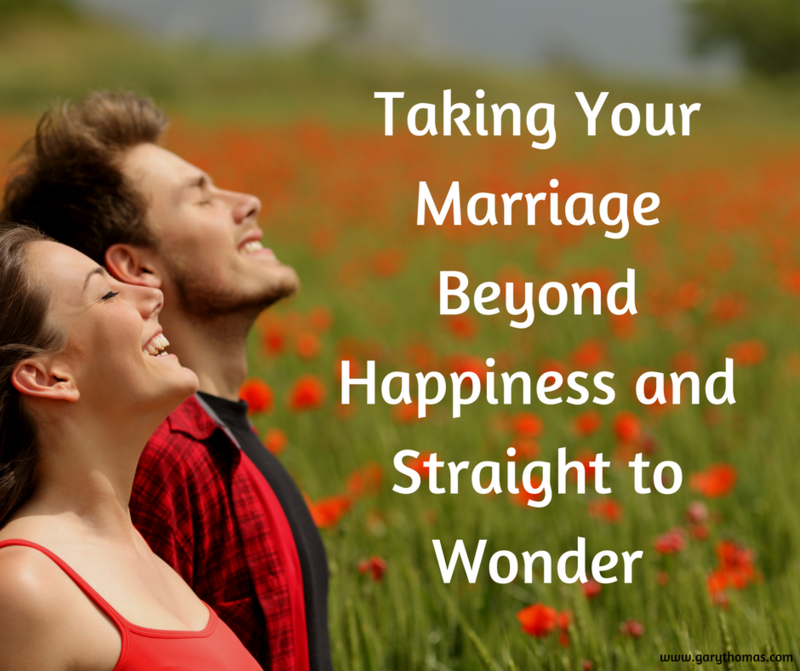 This blog spends plenty of time helping spouses deal with disappointment and difficult marriages. In this post, however, I want to encourage couples who are happy in their relationship and delighted with each other by providing a “trick” to further increase that love and happiness. Happy couples get far too little attention in blogs and books, perhaps because happiness doesn’t sound as dramatic as misery, nor do happy couples run to blogs hoping to find a “solution.” Happy couples are delighted with the status quo! If you’re frustrated in your marriage, you can still benefit by reading about happy couples by seeing the promise and the hope. Happy couples can do more than just enjoy each other—with the right mindset, their happy marriages can help them worship with a new intensity. When I behold the kindness of my wife, I should reflect that she is expressing the kindness of Christ. When I see Lisa’s desire for the truth—her faithfulness in studying the Bible, her earnest questions to me at times about various theological issues, her willingness to listen to podcast sermons with me—I can praise God for giving her such a desire for truth. Truth is one of the most beautiful of all God’s creations, yet many people hate the truth. The fact that my wife loves the truth and seeks it out is a testimony to God’s mercy and goodness within her. A Christian worldview teaches us that the best parts of our spouse are reflections of the divine image and a testimony to the presence of the Holy Spirit in their life. Every good and perfect gift comes from the Father of lights (James 1:17) and that’s especially true of the gift of character. So, when you’re pleased with your spouse, let that pleasure grow even deeper into worship. Admiration for your spouse should become worship of God. So many married people are seemingly astonished when their spouses fall: “How could my husband do that?’ “Why would my wife act that way?” If we accept the teaching of Scripture that tells us we all stumble in many ways (James 3:2), we should rather be astonished that a spouse displays moral excellence and take time to notice the work of God from which we benefit. Don’t take this for granted! I should take the time to truly consider my wife and marvel at the inner beauty God has planted within her. When Lisa and I were in Florence together, we both wanted to see Michelangelo’s David. Florence has two other David replicas in other parts of the city that we had already seen, and of course we had seen photos of the famous sculpture more times than we could count. So part of me thought, what’s the big deal? We were there in a non-touristy season, however, so there weren’t any lines (during the height of tourist season, you may have to wait for hours). Given the easy access, we couldn’t imagine leaving Florence without visiting the Academia Gallery to see David firsthand. To my shame, for the reasons explained above, my expectations were rather pedestrian. 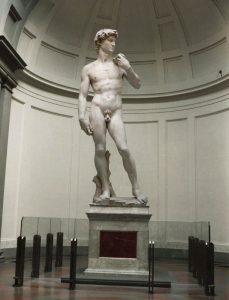 However, when we turned the corner in the gallery and saw the David sculpture standing at the end of the hall, it felt like a religious experience. Getting up close and seeing the grandeur and the artistic genius was a once-in-a-lifetime experience. We took our time, walking around, getting up close, stepping back, looking at a few close-ups again, then walking away to see it from a distance or from another perspective. Just as the majesty of the David sculpture demands attention and focus and adoration—one would have to be intellectually and morally stupid to not see it or appreciate it—so the beauty of Christ in my wife demands worship and awe. I need to take the time to reflect on His excellence within her, His creative and redemptive powers that have taken a once little girl who gave her life to him, who navigated through the moral minefield of an American junior high and high school, who chose to devote herself to worship and study in college, and who has continued to seek truth and godliness through three decades of marriage to such an extent that when I spend time with her, I’m reminded of Him. That’s such a beautiful, wonderful thing. When you spend two decades in marriage ministry, you read and hear of spouses doing a lot of heinous things. I have seen un-Christlike attitudes expressed even in comments on this blog that make me shudder and remind me how blessed I am to be married to a wife who champions grace. Training my mind to be reminded of Jesus by Lisa makes the notion of divorce unthinkable. Leaving her would be like leaving an aspect of Him, in the sense that He is so present in her life and has so marked her life that I can’t imagine not wanting to be in her presence and around this particular manifestation of His work. This kind of reflection takes your marriage to a new dimension, beyond happiness and straight to wonder. I hope this post will also encourage singles to consider what they are missing when they even consider marrying someone who is not surrendered to God and not inviting the Holy Spirit to transform them on a daily basis. Plenty of non-believers are kind and thoughtful, but there is a special reflection cast from the soul of one who worships. I am blessed to gaze into such a reflection every day, and like a resident who has fallen in love with a favorite pond, I can’t ever imagine wanting to move away. Pre-orders are a big factor in a book’s ultimate success, so I’m very grateful to those of you who take the time to do this. You can also pre-order a copy at your favorite local bookstore. 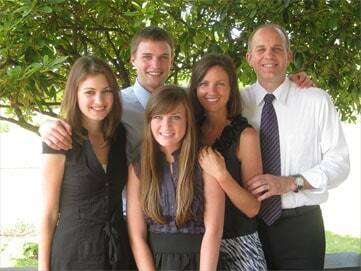 I can’t imagine…actually, I can, what it would be like to have such joyful oneness in my marriage. I recently married someone who I soon discovered questions my faith of a personal walk with Jesus while he hides all his anger & low self worth & addictions behind the mask of ministry. I so struggle with disappointment. But I’m so aware of God-moments that sustain me. I’ve also sought professional godly counsel. Somebody please pray for me. I so appreciate your blogs, Gary. God bless & keep all of you who love Jesus together!! Thanks, Gary, for giving us hope as to what God delights to see in marriage—and the eyesight he wants us to have towards our spouses. Seeing God in our spouses is that holy glue that sacredly bonds and binds hearts together. To articulate that to each other is to affirm who God is in and through that person. Beautiful concept! Thanks, Pastor Gary. I am one of the Singles you mentioned. I do think you shared practical and thoughtful information. The mutual understanding of two singles focused on a Christ-centered marriage is such a gift and to be cherished. Nothing quite replaces it once received. Thanks for the encouragement to stay divinely focused. It makes the long wait full of hope. Keeping Faith. A spectacularly insightful post! After 42 years of marriage to a fellow redeemed sinner, I echo the wonder at the grace of God I see in my wife. I was just shy of my 21st birthday when we wed, so we have been together twice as long as we had lived at that point. I can honestly say that I would not go back to any particular time of my life – no nostalgia whatsoever – because each day with her is such a delight and a new awakening of God’s goodness in my sight. Gary, thank you for your blog…I have been thinking about leaving my 20-year marriage in search of greener grass. You have been showing me how to tend the lawn I already have to make it greener and more beautiful. You may have saved my marriage. Thank you and God bless. I love the line that you are “married to a wife that champions grace” I aspire to be that type of wife to my husband. Thanks for the article. Wonderful read. It’s the best gift you can give him! Thanks for this message, Gary. I can testify to this. My husband and I have experienced such awe and wonder that God gave us the gift of each other and our marriage. Sometimes it just takes my breath away and I can only worship in response. Gary this is fabulous! Eunice and I have practiced this and we do experience a wonder-filled marriage. We are amazed by God’s grace loving through us! Thanks again for your insightful teaching and books.